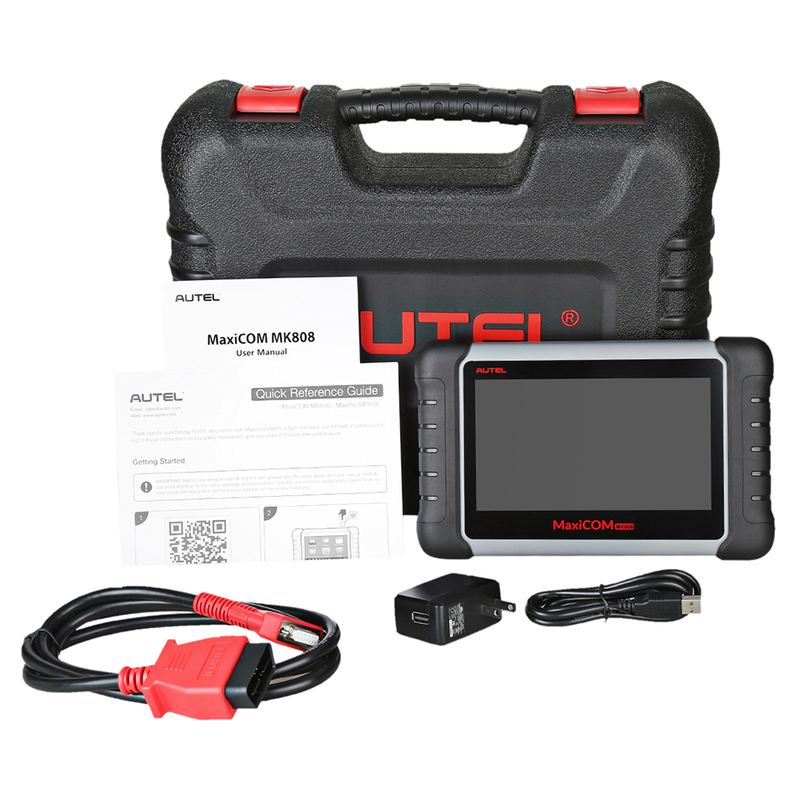 The MaxiCOM MK808 is a powerful Android tablet with intuitive seven-inch touch screen capable of scanning all available modules for faulty codes and aiding in performing an extensive list of the most popular maintenance services including oil and service light resets and steering angle sensor calibration. The tool`s quad-core processor and 32GB operating memory combined with its drill-down touch interface enables deft analysis of domestic, Asian and European vehicles, 1996 and newer. EPB service is important in the maintenance of electronic braking system`s safety and efficiency. TPMS service makes sense in displaying sensor IDs from the vehicle`s ECU, inputting TPMS sensor replacement IDs and testing sensors. DATA MANAGER – The best solution for the data related operations, you can store, print, and review the saved files in Image, PDF,Review Data, Apps Uninstall or Data Logging. Multi-Language :English, German, Spanish, Portuguese, Dutch, French, Italian.Korean, Japanese, Russian ,Polish,Swedish for optional . after you make order, please contact with seller about the language.